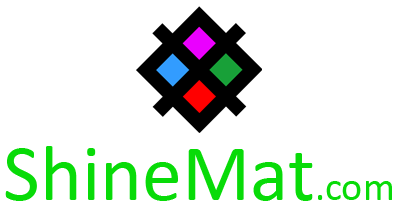 Today is the glorious day of ShineMat.com and also for me too. It’s our birthday friends. Yes, you are hearing right. Today is birthday of mine and my most beloved blog ShineMat. ShineMat.com has just crossed 8 years. Huge time, isn’t it? This post is totally off topic and dedicated for those peoples who are really serious for blogging and have patient enough for blogging. Here I am going to share my blogging history from starting till now. Well, the story will be boring little bit. Can you effort to read dear? 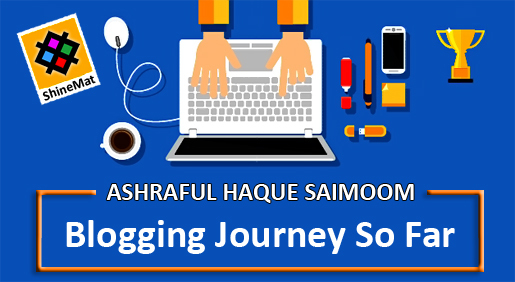 As you know I’m Ashraful Haque Saimoom, the founder and main author of this blog. I am not a professional blogger but trying to be. By education, I am Postgraduate on HRM. That time I was 19 years old. Currently, I am running a photography business and ShineMat blogging network. I am also a professional Photoshop expert, graphic designer and SEO consultant. You know what, when I introduced with internet connection it was just bounded in my Nokia N70. I was surfing through opera mini to find information of something. I was wondered how and why peoples shared their hidden talents through internet? After several researched and studied I was able know about blogging and its benefits. I opened a blog in wordpress just as hobby and that time I did not know a single word about blogspot platform. I was sharing stories, poems, short text messages, download songs etc. More interesting fact was, my wordpress blog was full of widgets. Such as: flags, visitor counter, live counter, recent, random and popular posts and what not. Ha Ha Ha. Later than, I focused to design my blog via HTML and CSS codes. Sometimes whole night I passed in front of desktop PC in my father’s shop. Oh! That time I had no personal computer. I can still remember, I was a sleepless boy for 2 nights just for understanding some simple CSS codes. Actually I did not pass my times to make any contents because I had no idea the power of web contents. Maximum time I was playing with web codes. Yes, this timeline was three years. I was wondered why I am not getting 100+ visitors daily? Where my all hard works were going? Again I studied about traffic and started learning SEO. The most beloved thing of my learning history. During those days I got a work offer from Canada to re-design their official webpage and logo. I grabbed this without thinking anything not only for making money since that was my first proposal. The value of the work was $400. After completing their work they paid me through AlertPay which is now Payza. Without spending a single time I bought my laptop by this money. 10 Killer Ways To Get Targeted Traffic. 10 Quick Tips To Get Traffic On A Blog. Factors That Help To Get Better Traffic. 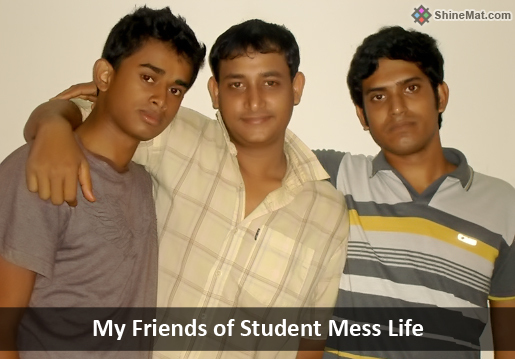 I admitted to Asian University to complete my BBA program and started living at mess in Dhaka city. (Around 120 km distance from my home) I had no worry because I had a laptop. I was aware of the importance of custom domain. That’s why, on 26/02/2012 I bought “www.shinemat.com” domain and installed it to my blogger blog on 04/03/2012. The 4th March is my birthday date and ShineMat’s too. Isn’t it Interesting? ALSO READ: Why I choose ShineMat as my custom domain? On 2013, I was selected as Contractual SEO trainer under ministry of ICT division in Bangladesh. First, I thought it just a prank. Why and how could I select to MoICT division? But NO, It was true. They performed a survey to each local district to find out SEO experts and from my district I was selected without giving any application or interview. At the end of 2013, I successfully completed my Graduation degree on HRM. I came back to my sweet home. After completed my study I joined my father’s business. From then, I have been working to my blog at every night. As followed this routine two years has been passed. After a study gap, I admitted again to Asian University to achieve my MBA degree. All of my tuition fees and other expenses I got from my online income. For some personal reasons my heart was broken deeply. Anyway, I recovered myself. I realized, trusting someone deeply is very dangerous and money is everything in this world. * I got my MBA degree. * Some new services added to my business. * Bought hosting for my blog and launched services.shinemat.com page. * I am planning to start another business. * Lost a favorite person. * Met some new peoples who really inspired me to success in business career. As for your love and good prayer, I am good enough overall, Alhamdulillah.